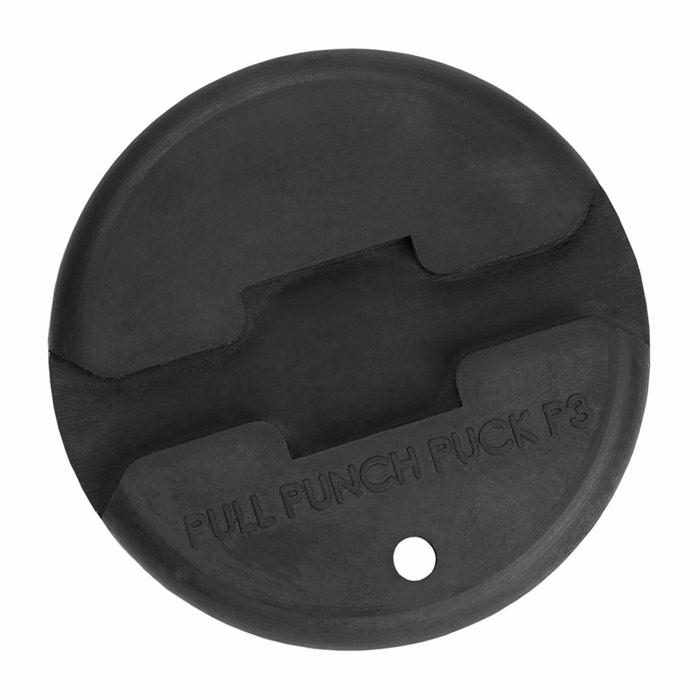 The EZ-Grip Puck is manufactured from a special rubberized material for flexibility and durability. Never has such a simple, inexpensive tool saved so much time and energy when working with wire and cable! The puck fits in the palm of the hand and dramatically improves your grip when pulling or pushing cable. Use the puck as a stable base for punching down wire in keystone jacks. No more marred surfaces or stab wounds! Improves grip dramatically when pulling fish tape through conduit. Provides a stable base for terminating wire in a keystone jack. Improves grip dramatically when pushing cable into F connectors.